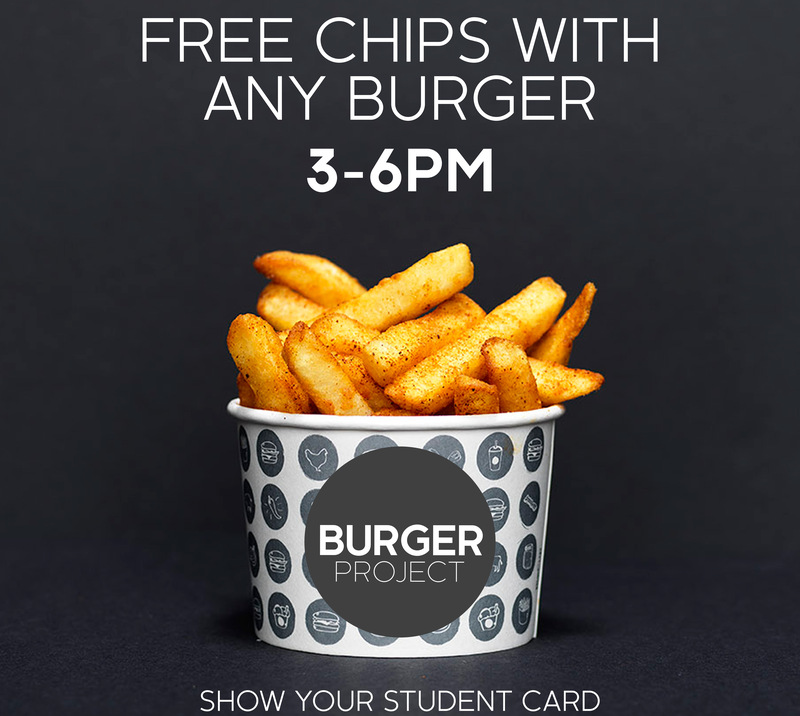 Students receive free chips with any burger, 3-6pm. Small chips only when any burger is purchased. Not valid with any other offer or promotion. See in store for further details.